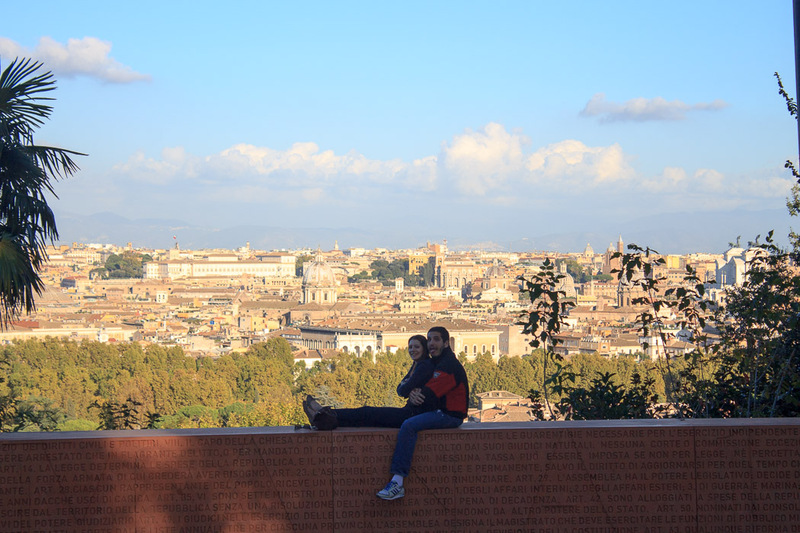 The Janiculum Hill is my favorite hill of Rome, located in western Rome. It's not one of the Seven Hills of Rome because it's west of the Tiber and outside the boundaries of the ancient city, but it's the tallest hill this close to Rome. One reason I love this hill so much is because of the beautiful treatment it received in Respighi's Roman Trilogy. 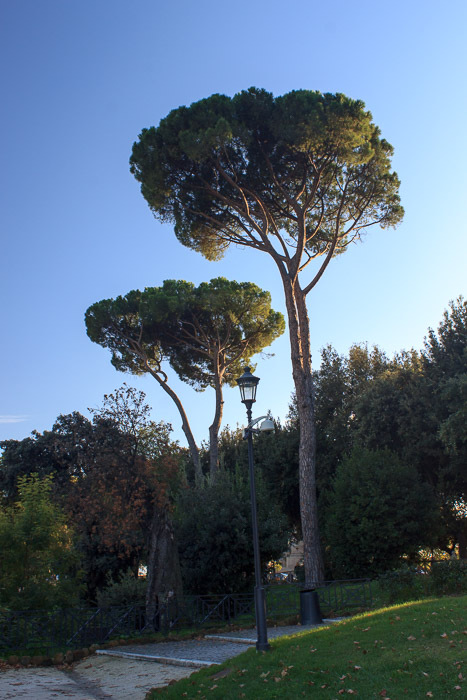 The section in that piece of music about the Pines on the Janiculum is among the most peaceful pieces of music I've ever heard, and each time I hear it I'm taken back to the top of this hill to look out over Rome at the incredible views it affords. Beside the incredible view, the Janiculum Hill holds an equestrian monument to Giuseppe Girabaldi right at the top (photo at lower-left), the church of San Pietro in Monorio where it was previously thought St. Peter was crucified (the Catholics now believe this was in Nero's Stadium), the small shrine known as the Tempietto which marks the supposed site of Peter's death, the baroque monumental fountain named the Big Fountain (photo at upper-left), and the Mausoleum of Garibaldino (photo at upper-right) near the fountain. 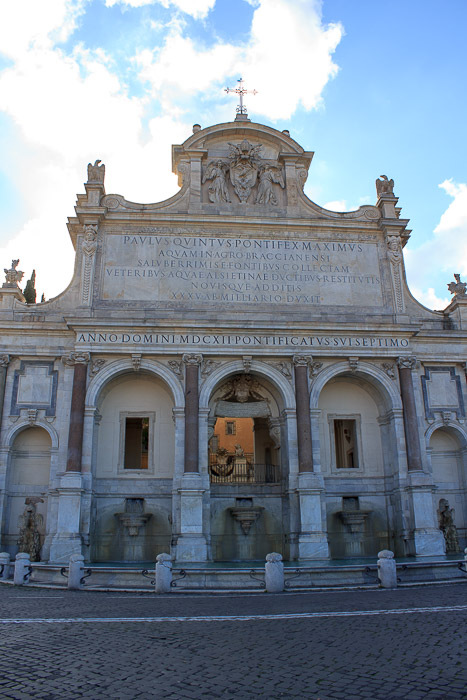 See all Janiculum Hill photos. To get to the Janiculum Hill, start at the Piramide Metro Station. 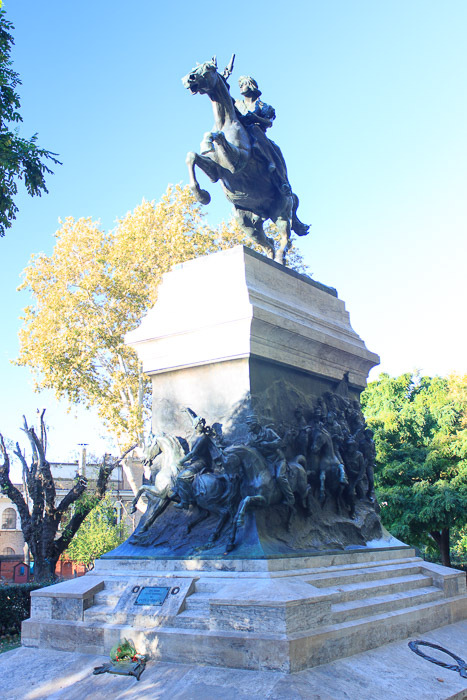 Walk or take tram 3 across the Tiber until the tram's left turn onto Viale d Trastevere. 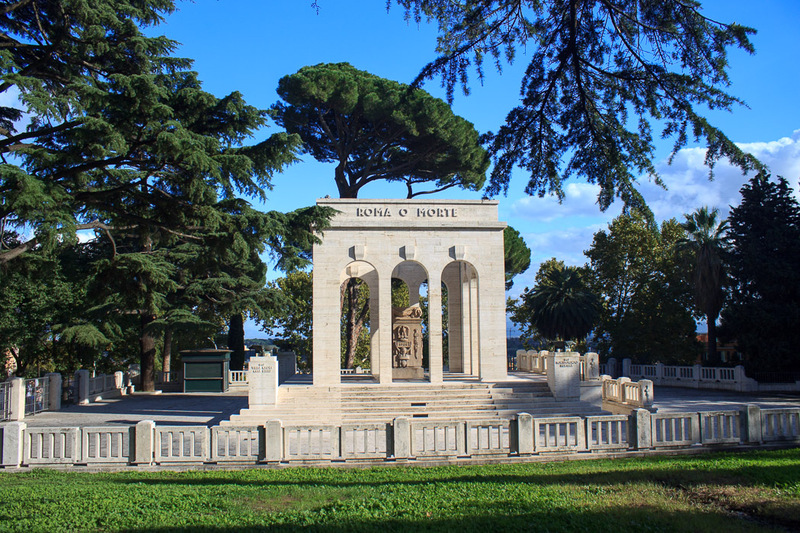 Get off right there and find Hospital Nuovo Regina Margherita (on Via Emilio Morosini), and catch bus #115 to the Big Fountain or all the way to the top of the Janiculum Hill. Once you're at the top, enjoy the incredible views of the city, and find a tall pine tree that overlooks the city. Think of how that pine tree and its ancestors stood silently and peacefully at the top of this hill, watching the comings and goings over the eons of all the crazy people below, holding triumphs, killing dissidents, building monuments, sacking the city, all while the trees watched in silence. 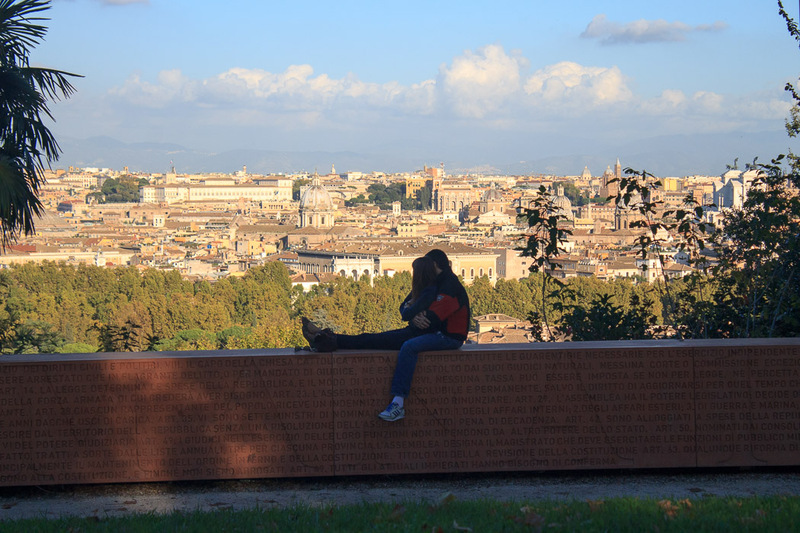 OK, maybe I'm nuts, but I love the view from the Janiculum Hill.